Hinds' Leave Me Alone album release party took place on Wednesday, January 6 at Brooklyn's Palisades. And the ladies of Hinds emphasized the night was certainly a party - bringing fans on stage to sing karaoke, inviting guest musicians (like Neon Indian, Shamir, and Public Access TV) to join in the merriment, and greeting/snapping pics with fans pre-show in the line that wrapped around the block. What a way to welcome their debut release! 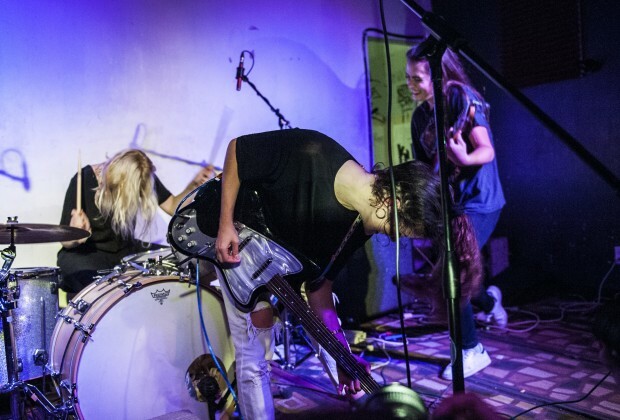 Hinds continues the party with a 30-date European tour. Leave Me Alone is available vinyl and CD, as well digitally.